Thanks to Create NSW funding towards our Access & Inclusion Program we were able to continue to support the Royal Prince Alfred Hospital (RPA) March Arts 2019 program. Sculpture by the Sea artist Barbara Licha was the recipient of the March Arts ‘Sculptor In Residence’ creating her work Hospitalscape, for three days, on site at the hospital with audiences participating and interacting with the process of its creation. The work was completed in the Artist’s Sydney studio and will be on public display in the hospital. 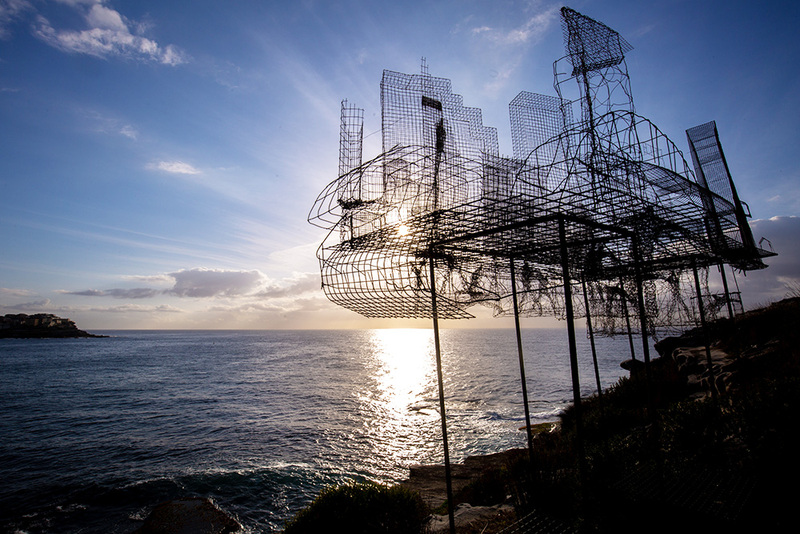 Sculpture by the Sea has collaborated with Arterie @ RPA for the past two years, by sponsoring sculptors as part of its Health + The Arts program. “Hospitalscape sculpture will be my expression of Royal Prince Alfred Hospital, its atmosphere of the buildings and people involved in it. I wish to combine the new and old, research the inside and outside and the intensity and balance. My idea is to discover connections between spaces as well as between people in the space. I’ll try to describe significant rooms, buildings, corridors and steps as a symbol of passages, as well as connections between patients, staff and visitors. “ Barbara Licha 2019. Established in 2018, March Arts is a celebration of The Arts in health across all Sydney Local Health District facilities The month-long festival highlights the benefits of integrating The Arts into the design and delivery of health services and is an opportunity to showcase the wonderful range of art programs across the District including exhibitions of patient and staff artwork, live music, poetry readings, performances, classes, workshops and guided tours with all events open to patients, visitors, staff and the broader community.